UDM Downloads > DataRecoveryWizard Professional! DataRecoveryWizard Professional is a complete range of data recovery software for all Windows operating system platforms and supports various file systems including FAT, FAT16, VFAT, FAT32, NTFS, NTFS5 on various storage media, such as IDE/ATA, SATA, SCSI, USB, Fire wire (IEEE1394) hard drive and other media such as Floppy disk, Compact Disc, USB flash drive, Digital camera, Digital audio player and so on. DataRecoveryWizard ensures safe and precise file recovery against numerous threats like: Drives that have been formatted or overwritten, Corrupt or missing critical file system structures, File deletion, Application crash, Computer viruses and worms, Partitioning or boot-up problems, Damage due to a power failure or surge and so on. Even if your computer has severe file system corruption, DataRecoveryWizard can locate, recover and restore lost data. This program is an efficient disk recovery software providing you a complete answer to data loss. 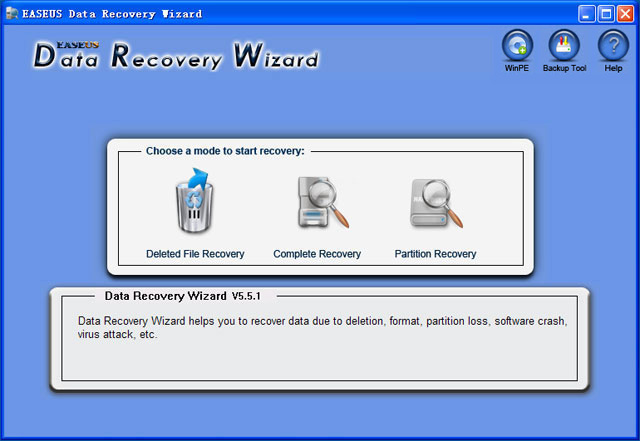 DataRecoveryWizard professional supports recovery of compressed and encrypted files on NTFS. Key Features: Provides Partition Recovery from FAT12, FAT16, VFAT, FAT32, NTFS/NTFS5 file systems. Supports IDE/ATA, SATA, SCSI, USB, Fire wire (IEEE1394) hard drive and other media such as Floppy disk, USB flash drive, Digital camera, Digital audio player and so on. Recovers deleted files and folders even after recycle bin has been emptied or use of Shift+Del key. File recovery from deleted partition, lost or missing partition or formatted logical drives. File recovery from missing or lost folders. Recognizes and preserves long file names when restoring files and folders. Views the recovery files. Changes the recovery file size. Large and Multi-Disk Drive Support. Data recovery from Windows 9x/ME/NT/2000/XP/2003. Can resume the last data recovery session.